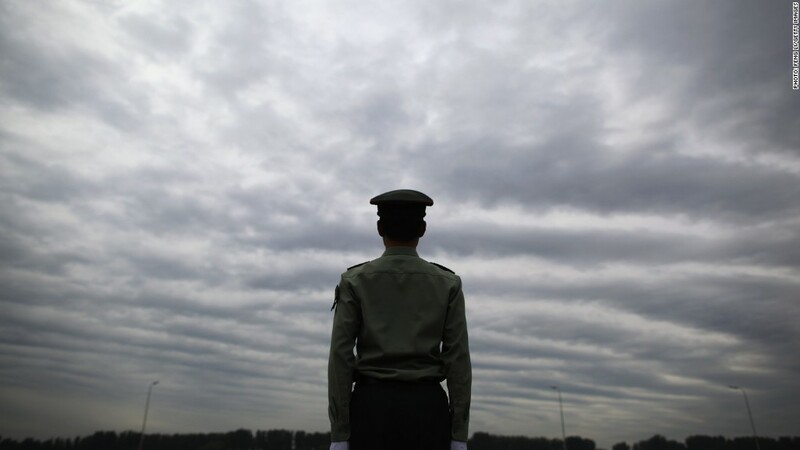 A Chinese soldier stands guard in Beijing. The Pentagon said China is carrying out the attacks in an effort to extract information from "diplomatic, economic and defense industrial base sectors that support U.S. national defense programs." The intellectual property and data is likely being used to bolster China's own defense and high tech industries, the report said. Foreign Ministry spokeswoman Hua Chunying said Tuesday that China is "firmly against any forms of cyberattacks." The government has in the past insisted that China is the victim of cyberattacks, most originating in the U.S. The information haul is not limited to the military and related contractors, the Pentagon says. China is also seeking similar information from the private sector, often through more legitimate avenues. "China continues to leverage foreign investments, commercial joint ventures, academic exchanges, the experience of repatriated Chinese students and researchers, and state sponsored industrial and technical espionage to increase the level of technologies and expertise available to support military research, development, and acquisition," the report said. China is not the only country believed to be involved in cyberattacks. The existence of several other state-sponsored cyberweapons has also been reported in recent years, with names like Stuxnet, Duqu and Flame. The U.S. government is widely believed to have played a role in developing some of those viruses, with an eye toward containing Iran. Yet China has drawn intense scrutiny in recent months after its military was linked by an American cybersecurity firm to one of the world's most prolific groups of computer hackers. Virginia-based Mandiant said in February it had observed the group of hackers -- called the "comment crew" -- systematically steal hundreds of terabytes of data from at least 141 organizations across 20 industries worldwide since 2006. The Mandiant report confirmed in dramatic and public fashion what many analysts had long suspected -- that China was engaging in cyberattacks on a significant scale -- and drew a response from President Obama. "We have seen a steady ramping up of cybersecurity threats," Obama said. "We've made it very clear to China and some other state actors that, you know, we expect them to follow international norms and abide by international rules."